INDIA. Mumbai. 2006. 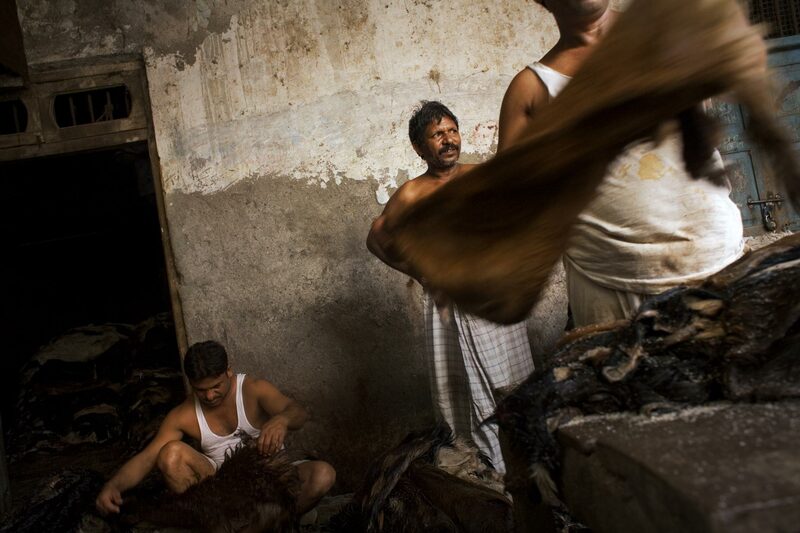 Just off Dharavi Main Road and Jama Masjid, leather tannery worers salt hides before drying them. The tanneries are among Dharavi's original industries.